And so goes the story of starting your own business: you have a bright idea and determine if it's plausible. You make a business plan, figure how much money you will need to start, figure how much profit you stand to make, and then decide if venturing into business is worth the risk. You look into all the rules, regulations, and laws regarding taxes, and then you get financing. A marketing plan is put into place and the doors finally open for business. You put all your knowledge, creativity, love, and passion into making your company succeed…and then it does. Your company continues to grow, and before you know it, your staff of two has become a staff of 20+. As a business owner, you become overwhelmed because all your ambition, drive, and motivation is overshadowed by a mountain of tedious administrative work. In addition to managing your business, you find yourself spending countless hours on HR-related questions, researching workers' compensation claims, balancing risk management decisions, and tackling the lovely task of payroll. You begin to wonder if you can afford to hire someone and task him/her with the duties you simply don't have the time to do. During your research, you realize that hiring someone with the necessary skillset you need is quite costly; can you afford it? I'm here to tell you that you can—not only does a PEO afford you a payroll representative, plus much more, but you can also save a great deal of money, time, and energy by partnering with a PEO to help fill this and other needed roles. You may be surprised to learn that the traditional hiring of a few skilled professionals may not be your best solution; especially when you compare it to the cost of a PEO provider. You'll want a team that can handle many of the responsibilities of an HR team plus many more. Think about the time you spent searching for your last employee. How much of your time was spent creating a job post, sifting through resumes, interviewing, hiring, and training? Now add all the back-end paperwork that comes along with recruitment such as completion of the I-9 forms, new hiring reporting, employee handbooks, etc. Free up your time by allowing a PEO to handle all the paper pushing, while you still maintain the recruiting and hiring of personnel. They are up-to-date on the ever-changing federal, state and local regulations. It's difficult to keep up with your regular duties when you're wearing a number of other hats, too. A PEO is efficient; they have a team of skilled professionals all at your disposal when you partner with one. Think about the day-to-day questions you receive from employees such as questions about payroll, their benefits, workers' compensation claims, 401K, etc; how much of your energy is spent creating reports, forms, handbooks, etc.? You can't change the fact that these are essential tasks that need to be completed; you can, however, minimize the energy you spend on them. 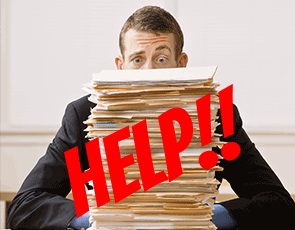 No business owner wants to deal with administrative issues when you have a business to run. No business owner wants to do the research of labor regulations and workers' rights when your employees file a claim. Liberate yourself by not having to deal with the headaches and heartaches that come along with managing personnel; let a PEO handle it for you. When you become a business owner, your goals always include making a profit, generating a high level of interest, and creating brand awareness. If you're a successful business owner, the outcome could be more than you've ever dreamed or expected. When you find yourself doing more than you can handle or feeling that your passion is overcome with overwhelming tasks you'd rather delegate, consider hiring professional employer services provided by a PEO. Your time is too valuable and should be spent creating the next big idea! If you're interested in working with a PEO, check out what SWBC PEO Services can do for your business by downloading our info sheet!